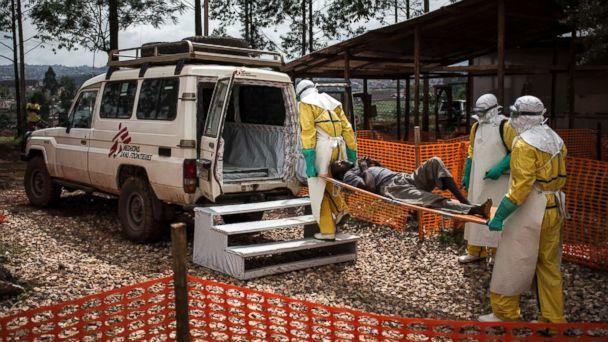 The second-largest, second-deadliest Ebola outbreak in history has exceeded 1,000 cases in less than nine months. A total of 1,009 people have reported symptoms of hemorrhagic fever in the Democratic Republic of the Congo's northeastern provinces of North Kivu and Ituri since ‪Aug. 1.‬ Among those cases, 944 have tested positive for Ebola, which causes an often-fatal type of hemorrhagic fever, according to Sunday night's bulletin from the country's health ministry. The ever-growing outbreak has a case fatality rate of about 60 percent. There have been 629 deaths so far, including 564 people who died from confirmed cases of Ebola. The other deaths are from probable cases. 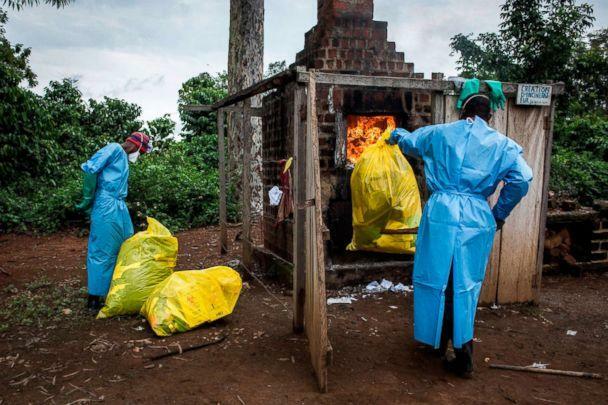 "Before being a public health emergency, an Ebola epidemic is above all a human and social tragedy," the health minister, Dr. Oly Ilunga Kalenga, said in a statement Sunday. "Behind these numbers are several hundred Congolese families directly affected by the virus and hundreds of orphans." A vast majority of cases have been recorded in the towns of Katwa and Beni in North Kivu province. So far, no cases have spread beyond North Kivu and Ituri provinces, nor across international borders. But the risk of national and regional spread remains "very high," according to the World Health Organization. "We use words like 'cases' and 'containment' to be scientific, but behind every number is a person, a family and a community that is suffering," Dr. Tedros Adhanom Ghebreyesus, director-general of the World Health Organization, said in a statement Saturday. "This outbreak has gone on far too long. We owe it to the people of North Kivu to work with them in solidarity not only to end this outbreak as soon as possible, but to build the health systems that address the many other health threats they face on a daily basis." 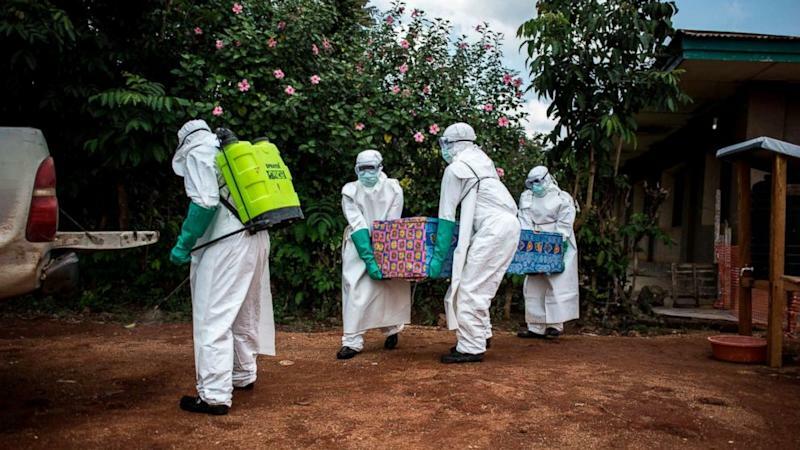 This is the 10th outbreak of Ebola virus disease in the Democratic Republic of the Congo and the most severe seen in the Central African nation since 1976, when scientists first identified the virus near the eponymous Ebola River. It's also one of the worst outbreaks, second only to the 2014-2016 plague in multiple West African nations that infected 28,652 people and killed 11,325, according to data from the U.S. Centers for Disease Control and Prevention. 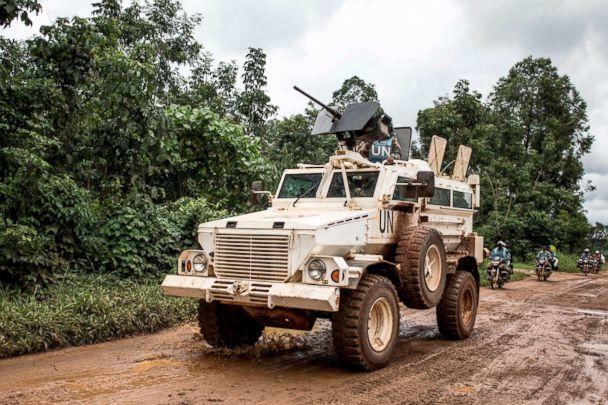 Response teams are also grappling with a highly mobile population and resistance from a local community that has never before seen Ebola. "Every member of the community," the country's health minister said, "has a role to play in stopping the spread of the virus." "The response begins at the level of the mother who brings her sick child to the health center and accepts that a sample is taken for the laboratory," he continued. "It is also based on the head of the family, who accepts that all family members are vaccinated after one of them has been infected with Ebola." Since Aug. 8, more than 96,000 people have been vaccinated against Ebola in the outbreak zone in the Democratic Republic of the Congo, along with health workers in Uganda and South Sudan, according to the World Health Organization. At least 321 Ebola patients have recovered, "but returning home is not always easy," the country's health minister said. "Already forced to live with the legacy of the disease," he added, "these Ebola survivors also face stigma within their community."